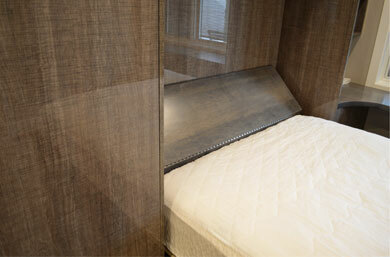 We delivered and installed this Murphy Bed system to Sterling, Colorado. 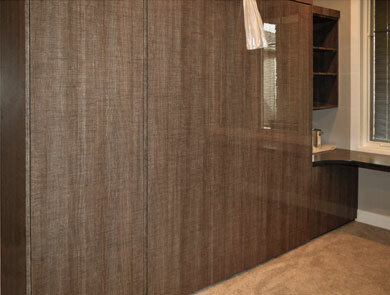 The material we used was a Poly Lacquer Laminate from Turkey! 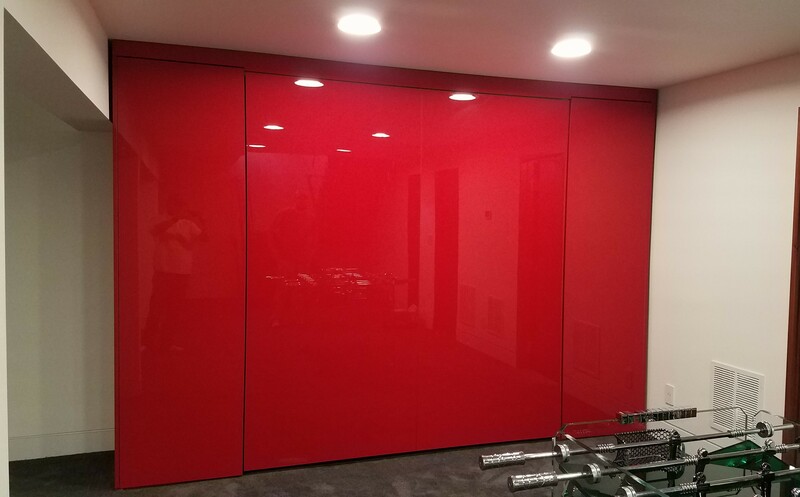 Amazing mirror finish. You could almost put your finger through it. 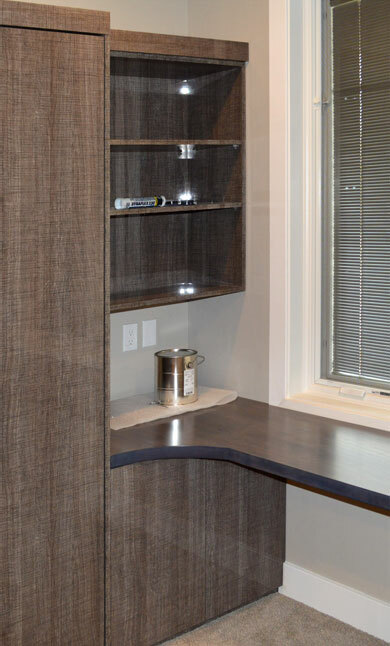 While the casegood package was done in this expensive laminate, we optioned to use 2” thick solid maple for the work surface. 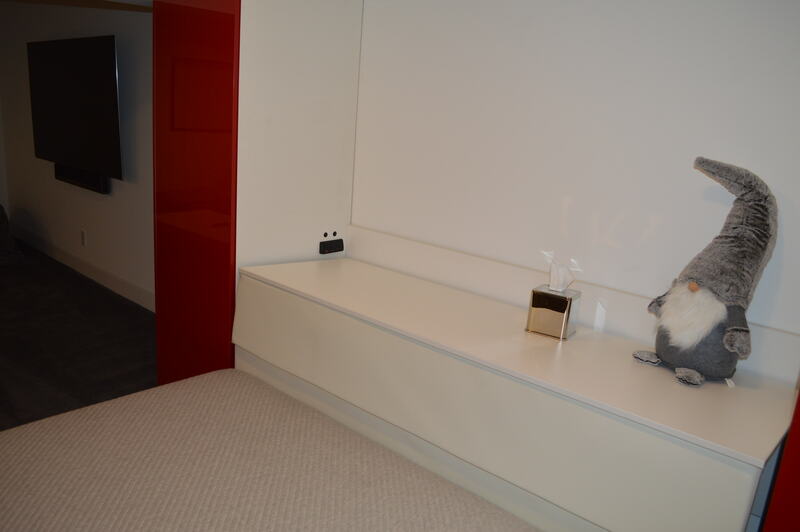 James and John in the finish room did a great job of making the maple compliment this Gloss finish. Maple starts out like that wood you see in a bowling alley. Hard and White. The Adaline Dye used to obtain a uniform gray tint is a process not common in the furniture industry. It is hard to control the effect. After allowing two days to cure, James came back with 4 coats of pre-catalytic lacquer to seal the wood. 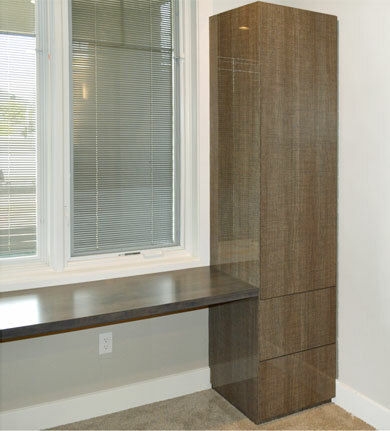 We like to call this a ‘wrap around Murphy Bed Home Office’. 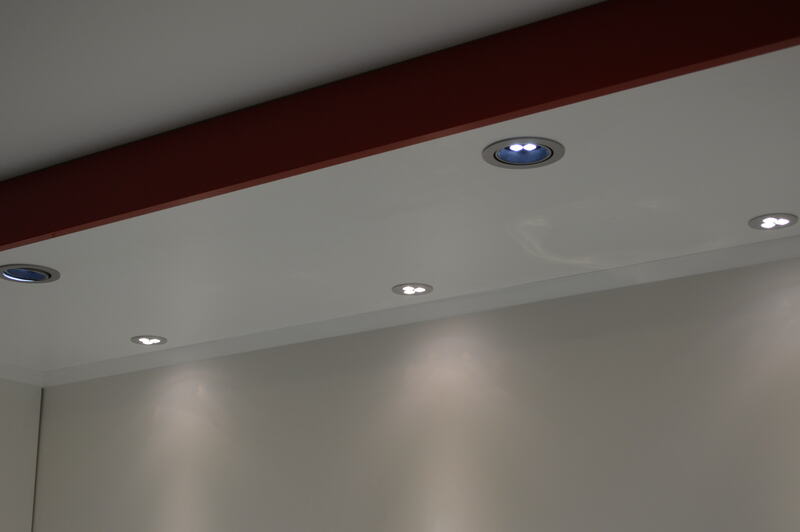 Want to get crazy in Laminate Gloss Design? Ask us to send you some samples. 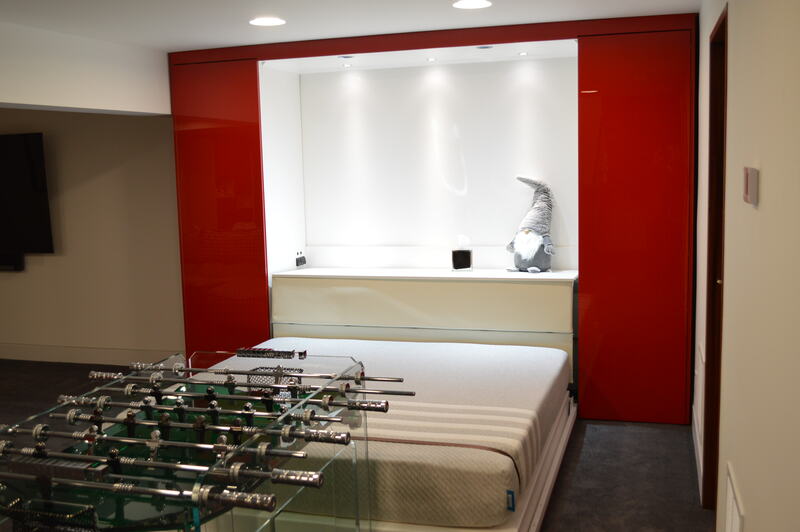 These clients in Fort Collins, Colorado wanted a King size murphy bed as sleek and glossy red as their brand new Tesla, and as unique as their acrylic foosball table. 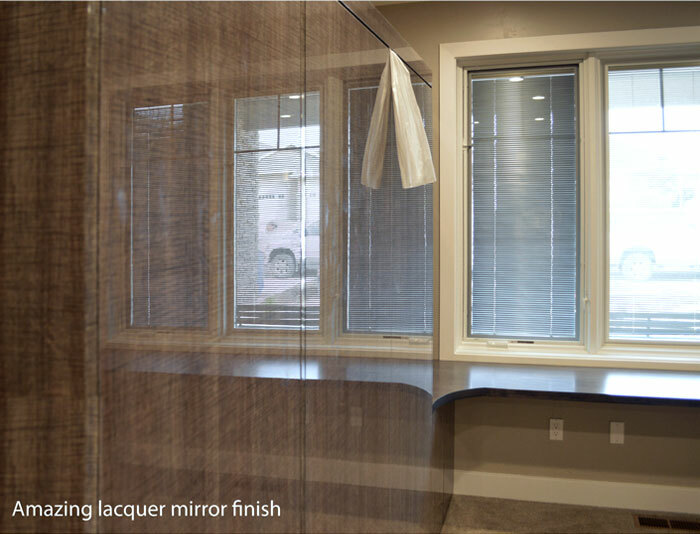 We searched high and low and found this striking mirror-shine laminate imported from Germany. It certainly makes for quite a conversation piece! 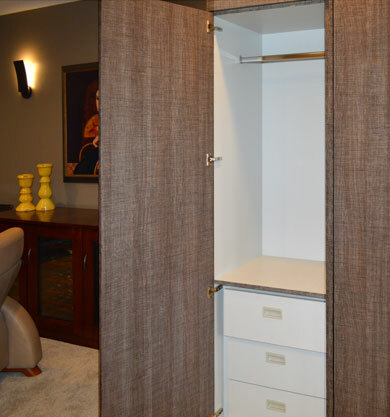 Closet space for guests and storage space for games are built in to either side. 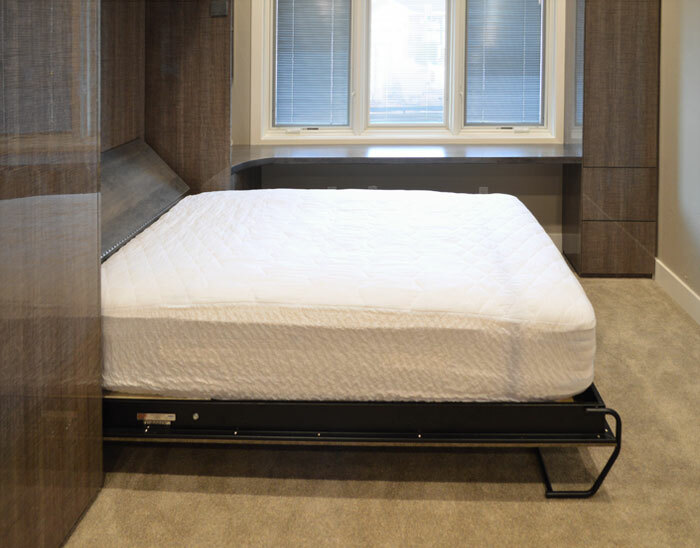 Inside, a whole host of no-heat LED light fixtures brightens up the interior, and our exclusive drop deck feature acts as a handy nightstand surface, complete with electrical outlets and usb ports.